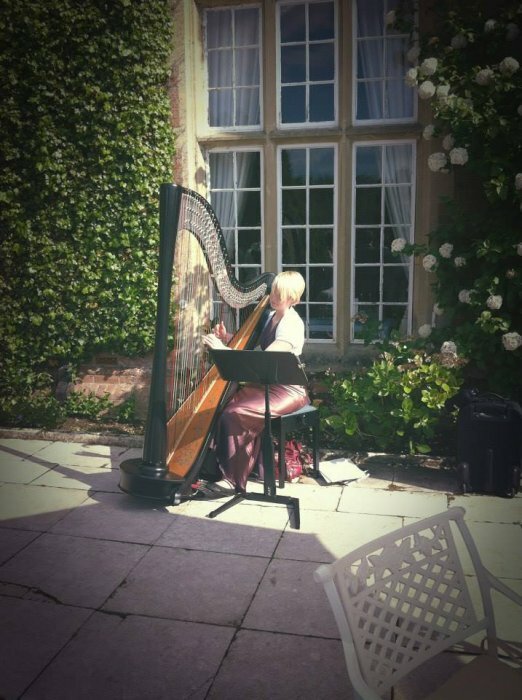 Harpist and singer Lizzie is an experienced and professional performer for weddings and events around the West Midlands and further afield. She has a wide repertoire, from celtic to classical, and jazz to pop. 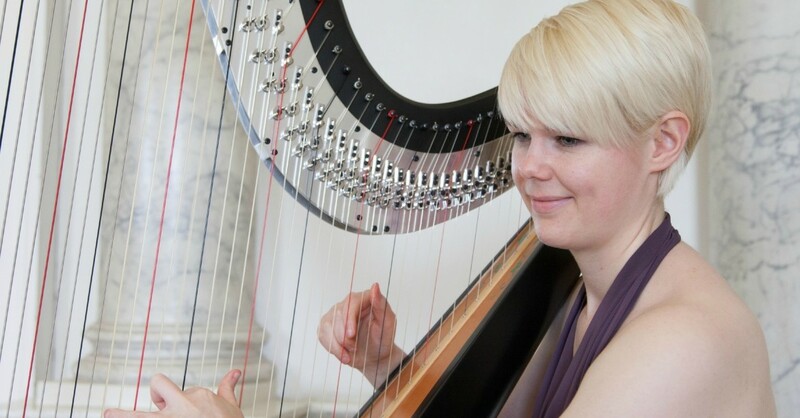 Experienced harpist Lizzie is guaranteed to bring something special to your day. 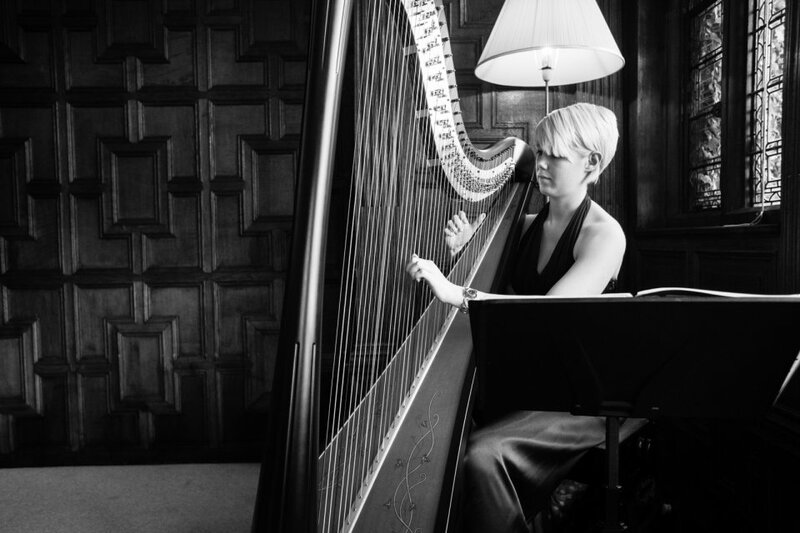 Either as a solo harpist, or as a singing harpist, Lizzie provides top-quality performances that your guests will love. Friendly and professional, Lizzie will work with you to select the right music for your event, or you can leave the choice to her. 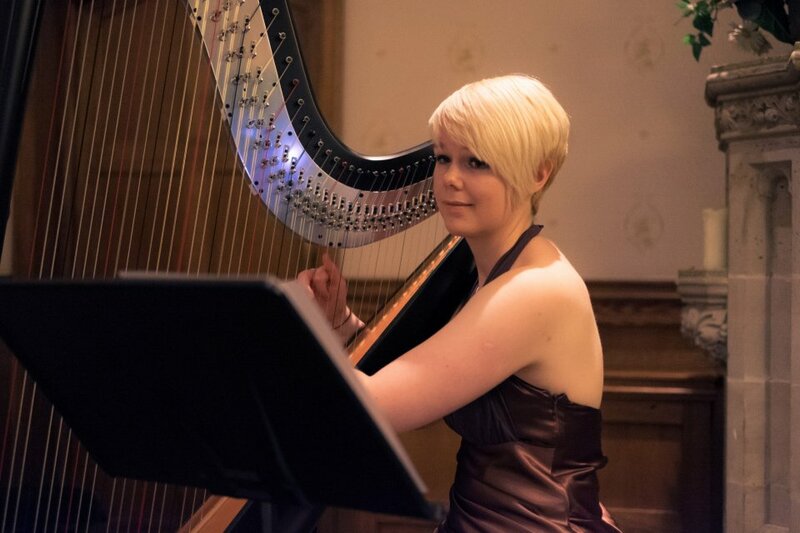 Having graduated with a music degree from Royal Holloway, University of London, Lizzie also holds a licentiate diploma in piano performance and an associate diploma in harp performance. She has played for orchestras, chamber groups, and accompanied choirs; she also plays in a harp and organ duo with her partner. Lizzie has played for all types of events; weddings in venues from castles to stately homes, and even once on the HMS Warrior, as well as for birthdays, anniversaries, and corporate events, including a store opening for John Lewis. As well as playing venues around the UK, Lizzie has recently been living and working abroad in Hong Kong and New Zealand. She has been harpist in residence at the Shangri-La hotel on Hong Kong Island, and has given recitals in Nelson and Christchurch Cathedrals in New Zealand. Lizzie has an extensive and ever-growing repertoire, covering traditional classical, celtic folk, jazz standards, music for TV and film, and contemporary pop. Lizzie creates her own harp arrangements of pop songs, and is happy to take requests for these in advance of an event. Cameron and I wanted to thank you so much for the music you played at our wedding - you were absolutely phenomenal and so many people talked fondly of you afterwards. An additional thanks is for taking the time to learn the Coldplay tune for when Cameron arrived - it meant the world to both of us. Thank you for being a huge element to what was a day to be cherished forever in our lives. We will gladly recommend you to friends and family. Lizzie is very happy to take requests in advance. 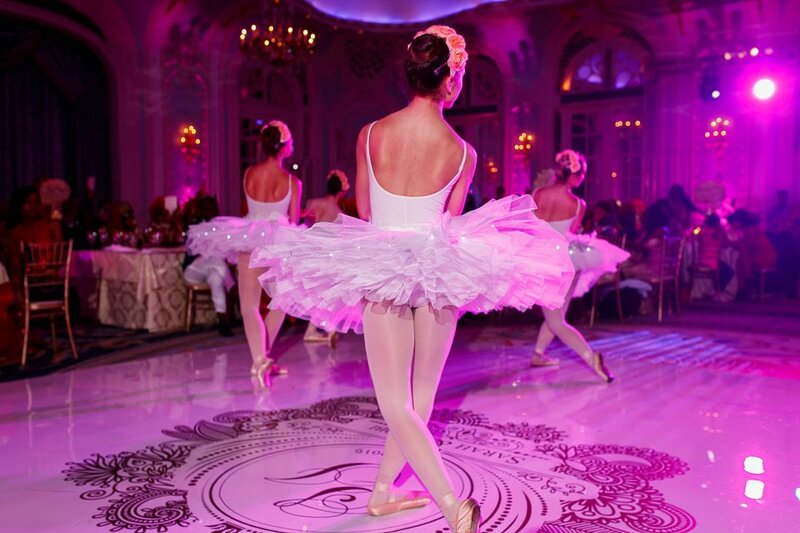 It does depend slightly on the piece of music, but most songs can be adapted for the harp. Do you need anything at the venue? Lizzie will bring a seat with her, and only needs to be provided with a parking space and soft drinks. How much time to you need to set up? Lizzie will arrive at the venue at least an hour before she is due to play, in order to move and unpack the harp and then tune it. Lizzie does not usually perform outside due to risks to her instrument. Customers who have enquired for Lizzie The Harpist have also been interested in the following Harpists who are also available in Birmingham and the Midlands. For more information or further options, please call 0845 643 9384.